A perfect 30th birthday jewellery gift for her. 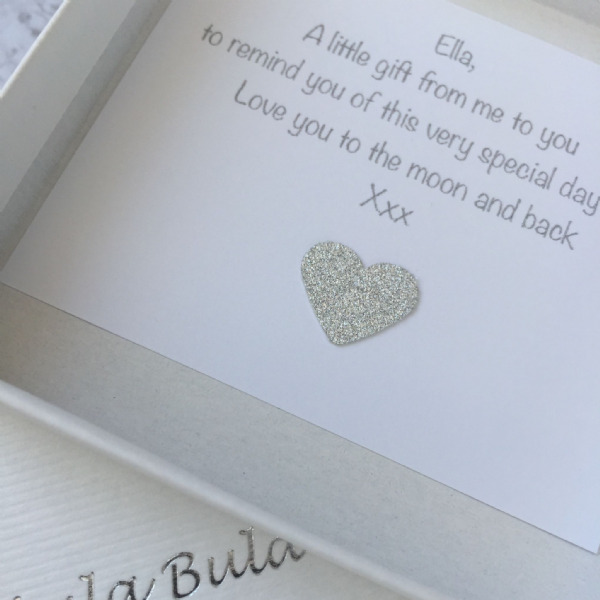 Our unique, personalised 30th birthday jewellery gifts are perfect for giving to your big sister to celebrate her special birthday. 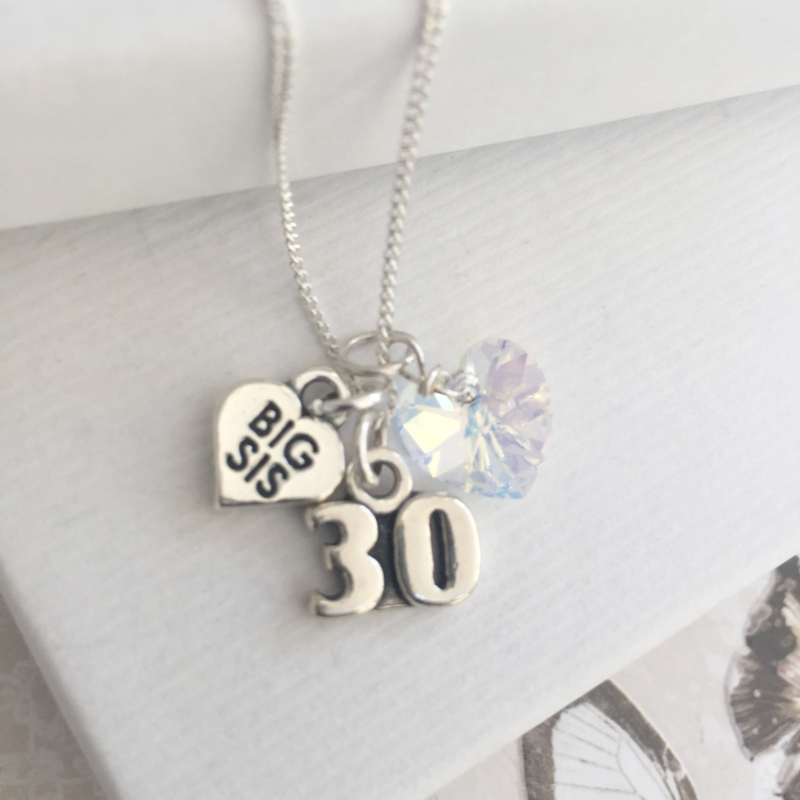 Our gorgeous sterling silver 30th birthday gift for a special big sister has a beautiful sterling silver 30 charm, a sparkly swarovski crystal heart attached (the crystal heart is shown in pink but is available in any favourite or birthstone colours) and a gorgeous sterling silver 'Big sis' heart charm. 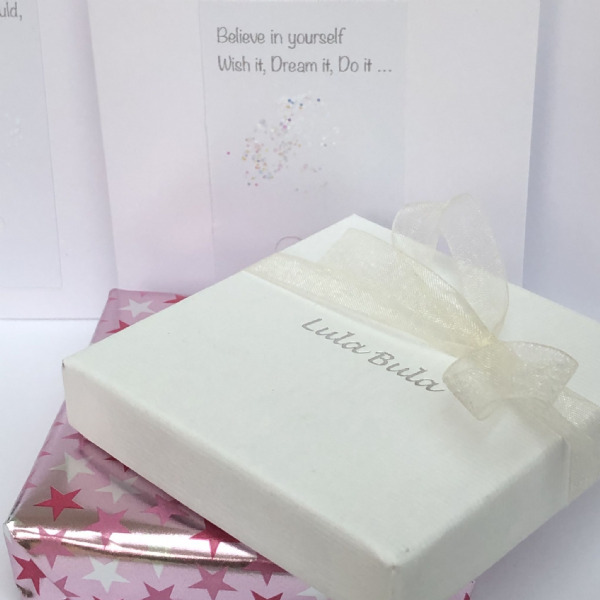 This is a perfect gift for that very special big sister's 30th birthday. 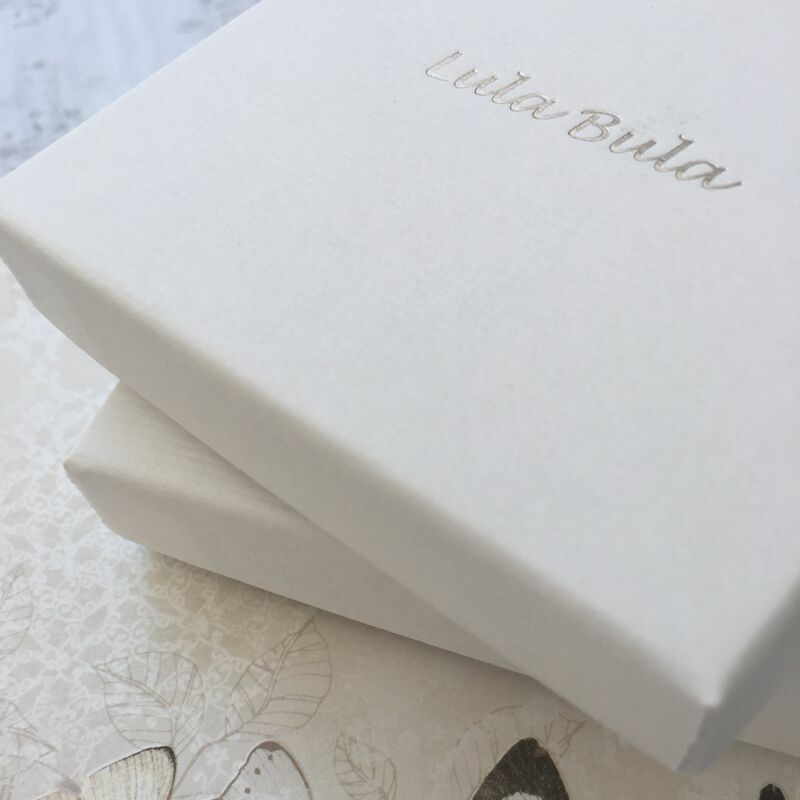 It can be worn with any of the charms together or on their own - a beautifully versatile piece of jewellery that will be treasured forever.